I jumped on the essential oils bandwagon a while ago and soon realized that I needed a way to carry some with me when I’m away from home. I wanted something relatively small that would be attached to my wallet because I don’t use the same bag all the time (depending on whether I’m going out with or without my daughter), and I hate having tons of pouches and things that I have to dig through. 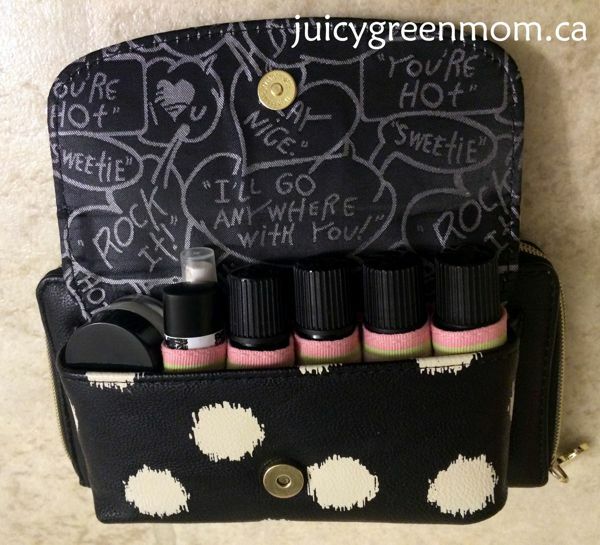 So I decided I’d make a DIY essential oils organizer for the side pocket in my wallet! I think the side pocket of my wallet was intended to house sunglasses, but I thought it would be perfect for carrying around things I always need, like lip balm, hand cleaner, hand cream, and a few roll-ons of essential oil blends. At first I tried to put those things in by themselves but it was pretty disastrous trying to keep them all from falling out when I tried to reach for something. I had this old fabric belt from my high school years (did I really think Iwas going to wear it 20 years later??) and decided to re-use it for this project. It was perfect! 1. Lay out the strip of fabric. Place the first essential oils bottle about 1/3 of the way down the fabric and bring the other side over top (you want the longer side to go on top). Mark the spot where the top layer comes back down to meet the bottom layer with a pin. Continue in this fashion with the other bottles or items you want to put in the organizer, making sure not to make the openings too tight. It will look like this. 2. Test out the organizer in your wallet, bag, or purse to make sure it will fit properly. 4. Test it out with the bottles in place in your wallet, bag, or purse again! 5. 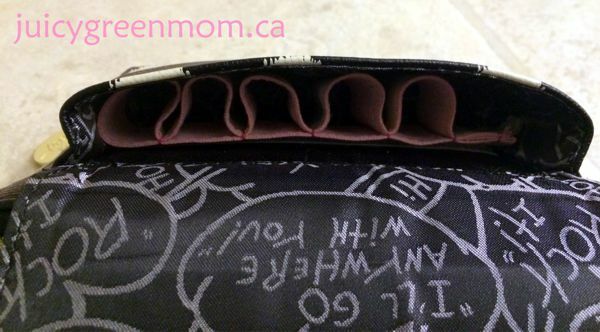 Optional: Take the adhesive velcro and measure along the backside of the organizer to cut. 6. Optional: Stick one velcro side to the backside of the organizer, and the other velcro side to the inside of your wallet, bag, or purse. What I loved about this project was how easy it was to throw together – and how versatile it is. 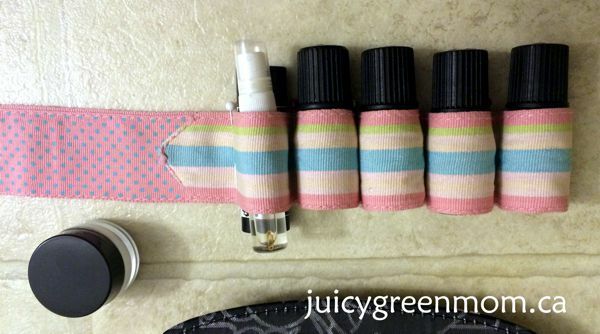 You can really make this work for any pouch or purse you want! 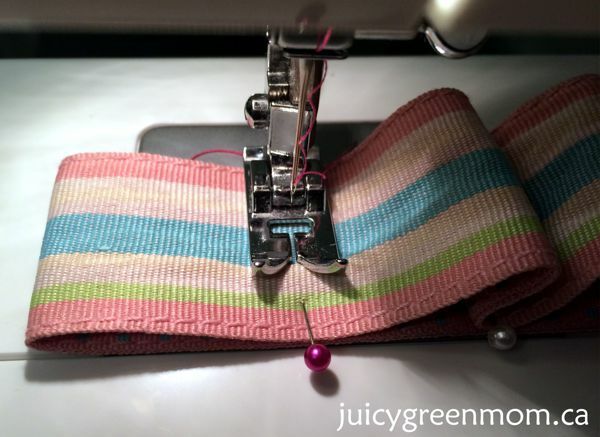 You could even make multiple rows and velcro or attach them together. How do you keep your wallet or bag organized?